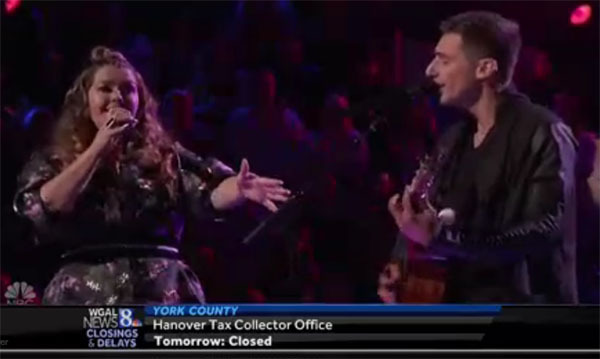 Jorge Eduardo and Amber Sauer from Team Kelly performs “Starving” by Hailee Steinfeld on The Voice Battle Rounds on Tuesday, March 20, 2018. “Amber I love your energy, Jorge It was cool to see evolve as an artist,” said Alicia Keys. “Amber has personality,” said Blake Shelton. ” Jorge is so diverse,” said Adam Levine. The winner of this battle is Jorge Eduardo, no steal for Amber Sauer.